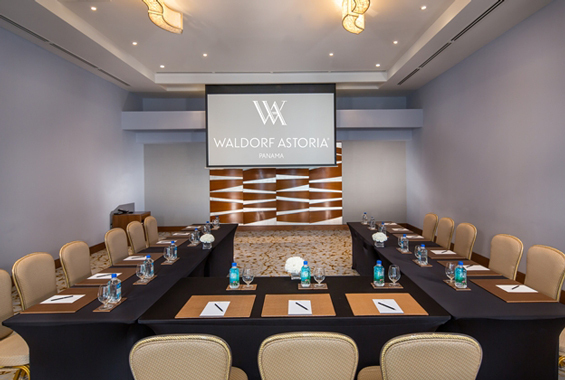 Waldorf Astoria in Panama City is the epitome of luxury and sophistication. As the first hotel to display this name in Latin America, Waldorf Astoria has transformed from its classic origins to become a trendy luxury hotel with poolside Bungalow Bar and swanky Ginger Sushi Bar. Just like at all Waldorf establishments, guests are provided with the utmost level of service. 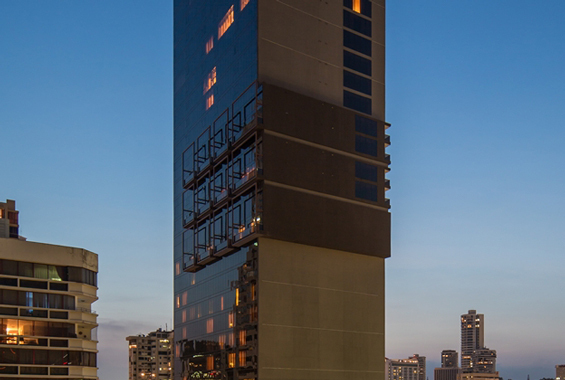 This lavish 36-floor hotel can be found just steps from Calle Uruguay’s business district and about 15 minutes from Tocumen International Airport. 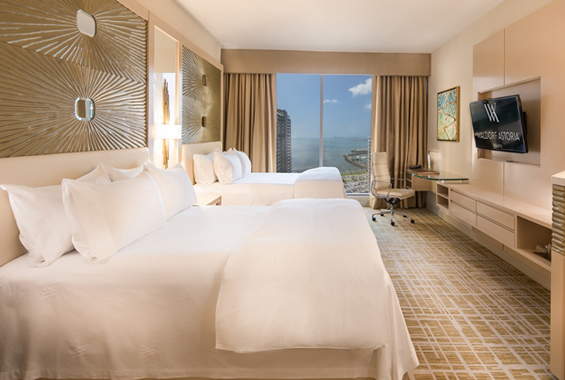 If you’re in search of a safe and luxurious place to stay while visiting Panama City, Waldorf Astoria Panama is the ultimate choice. From their premium ocean-view suites to their convenient location near many of the city’s world-famous attractions, the expansive hotel ranks high among guests. 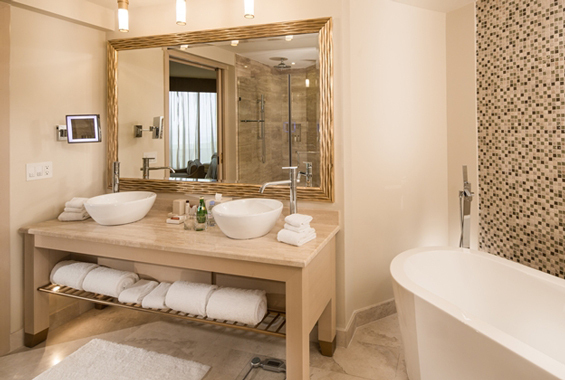 Of course, no hotel stay would be complete without a little much-needed pampering. 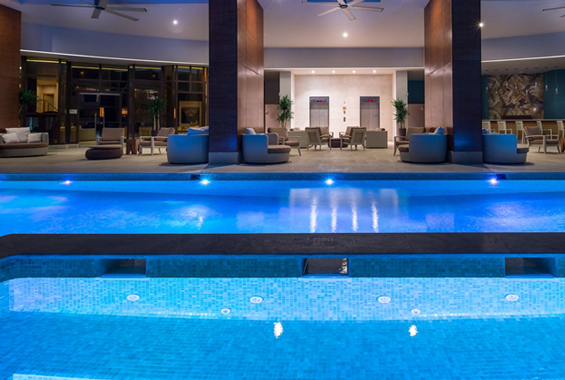 Just head up to Level 7 where you’ll find treatments available for couples-only massage at the Waldorf Astoria Spa Panama. There are also other fantastic features and amenities to enjoy during your stay at the popular Waldorf Astoria. If you’re visiting Panama for a special event or business occasion, the hotel has a multi-event space and ballroom that can accommodate up to 120 guests comfortably. You’ll also find that the hotel is within walking distance or a short drive to many restaurants, shopping centers, and attractions. Just 30 minutes from the Waldorf Astoria is the Panama Canal. Or you can walk to the park on Cinta Costera or the banking and central business district. Also take the time to discover Peacock Alley, a place for travelers and locals to mix and mingle. Return to your hotel at the end of the day for some rest and relaxation. A delicious bite to eat is never too far at Waldorf Astoria Panama. You can find all types of mouthwatering cuisines to satisfy your appetite. On the second and fourth floors you’ll find exotic Asian cuisine at Ginger. Fresh French and American dishes are plentiful at BRIO Brasserie. 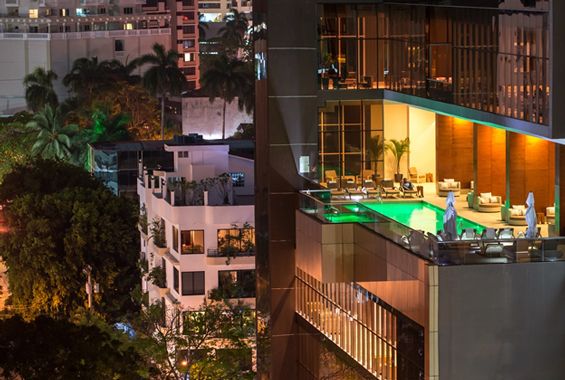 You can sample lighter dishes at Pool Bar and Bungalow Terrace, two popular eateries that overlook the Panama skyline. 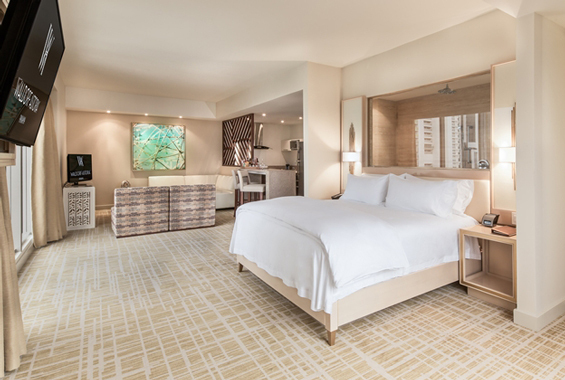 At the end of day, you’ll love returning back to your posh room or suite. The luxurious rooms feature flat-screen TVs, mini bars, and iPod docks, as well as Nespresso machines. For an additional fee, you can also have Wi-Fi. Upgrade to a duplex room and you’ll receive additional living rooms, kitchens, or kitchenettes, in addition to rainfall showerheads and ocean views. At Waldorf Astoria, room service is available to all guests on a 24/7 basis. If you’re planning on staying at the hotel, you’ll have plenty to keep you entertained and comfortable. There’s a luxe spa, lobby bar, an outdoor pool with a hip poolside bar, and a trendy sushi restaurant. 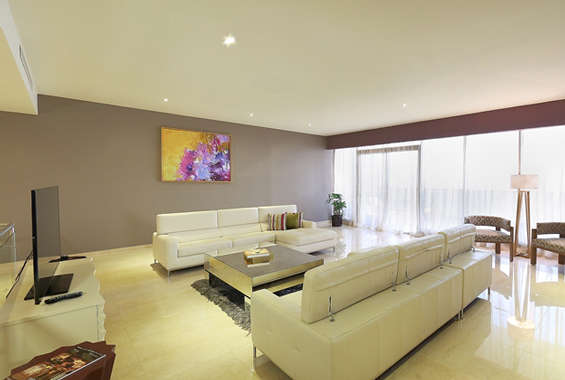 Guests will also find a posh brasserie, beauty salon, fitness facilities, and a spacious, professional business center. The smoke-free hotel is located in the heart of Bella Vista, just 0.4 miles from Canopy Tower and 2.2 miles from Metropolitan Cathedral of Panama. Within 15 minutes of the hotel, you’ll also find Panama Divers PADI Dive Resort and Via Espana. There is free Wi-Fi in public areas of the hotel, as well as free valet parking for hotel guests. For guests in need of the service, there is also free shuttle service provided. All of the 153 rooms are soundproofed to provide guests with complete privacy and a peaceful environment. 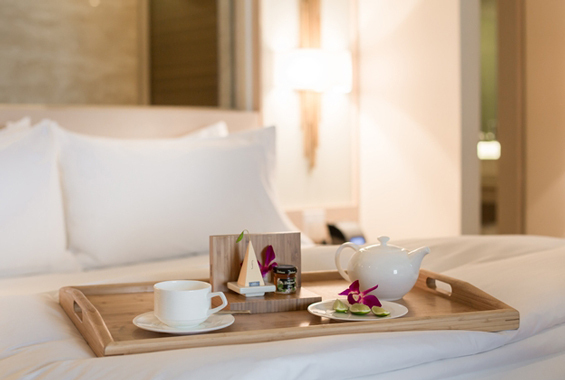 Premium in-room comforts include high-quality bedding, pillow menus, and bathrobes and slippers. If you’re staying in Panama, consider a long stay at Waldorf Astoria.